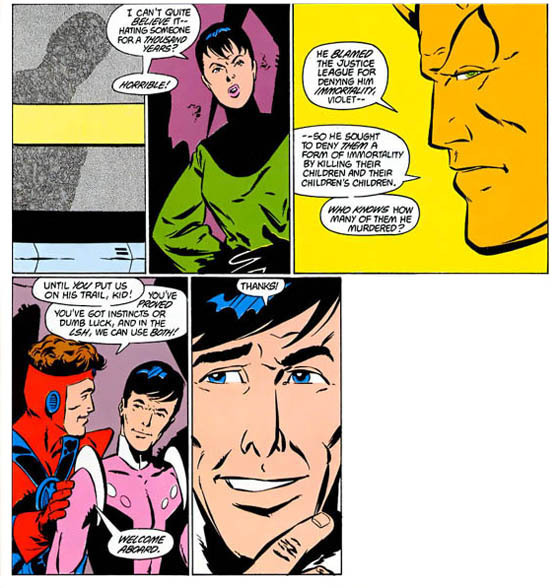 One of the things that really sets the Legion of Super-Heroes apart from other books, historically speaking, was the fact that the characters were allowed to age. As the teens of the Legion grew up, they paired off, married, reproduced, and had lives. 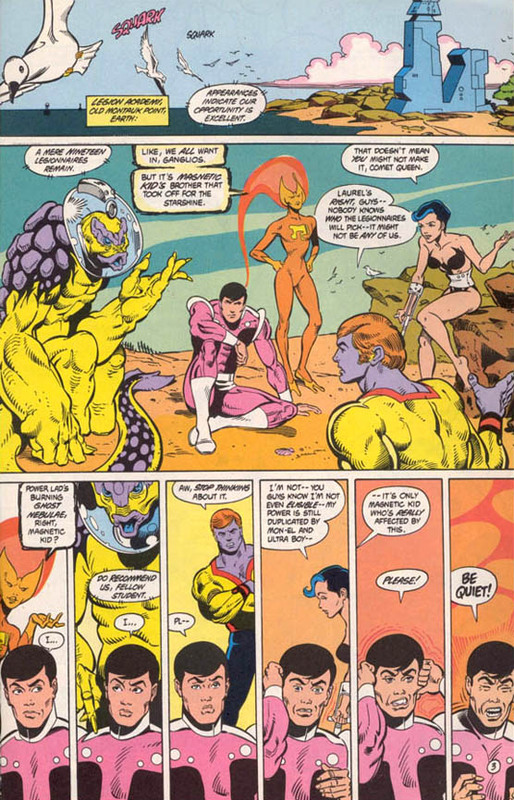 Unlike most comic characters, the Legionnaires were allowed to organically grow and change. So, it was natural that, eventually, even the founding members would leave the team. 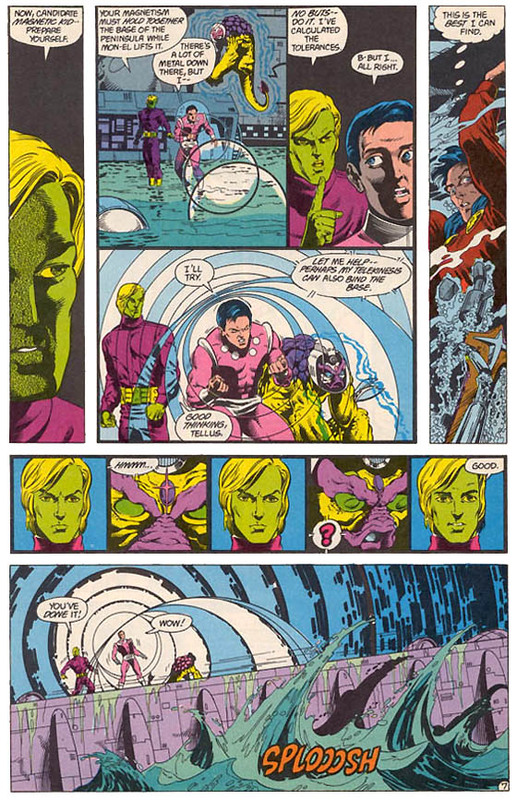 But when Legion founder Cosmic Boy retired, another ferromagnetic hero stepped into the fray to replace him, and found his path to be a difficult walk through the shadow of big brother. Still, he managed to distance himself from the spectre of a successful sibling, and eventually saved his team during one of it’s darkest hours. This, then, is your Major Spoilers Hero History of Pol Krinn of Braal… Magnetic Kid! 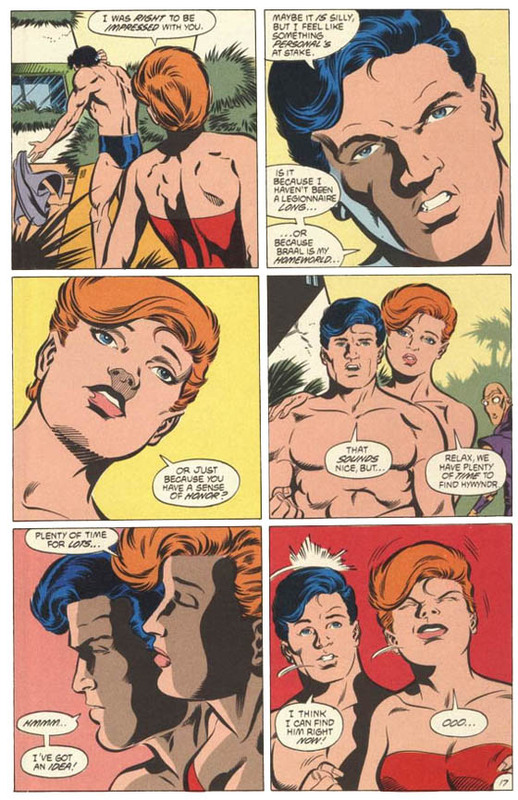 Indeed, during these early days, it’s unclear how old the Legionnaires are, but they seem to be somewhere in the 14 to 18 year old range, old enough to save the universe, but still young enough that their parents and families are important figures in their lives, and the Krinn family was no exception. Unlike his big brother, Pol had no intentions of ever becoming a superhero, instead enjoying the (relatively) quiet life of a pro athlete rather than fighting crime. Unfortunately for the Krinn family, even though he chose not to seek out criminals didn’t mean that the criminals wouldn’t seek them out. When a local gang resorted to “fireballing” (an extortion scheme using nuclear weapons) the Krinns were caught in the crossfire. Pol and his father were badly injured and burned, but his mother Ewa… was lost. This experience finally triggered in Pol the desire to use his native-born Braalian abilities to fight for good. Journeying to Earth, he was one of the earliest applicants to the second version of the Legion Academy, under the tutelage of former LSHers Bouncing Boy and Duo Damsel. Choosing the name “Magnetic Lad,” he studied hard, and quickly excelled among his fellows. When the Legion considered taking on new members, Pol and the other cadets were understandably excited. The Academics (Cadets? Students? I don’t know what to call young heroes in training…) were all very excited to find themselves even considering the possibility of Legion membership. Fellow trainee Shadow Kid (who is either Shadow Lass’ cousin or brother, or possibly both. Talok VIII is a lot like Kentucky that way) bonds a bit with our Mr. Krinn, and finally draws the reason for his change of heart out of him. 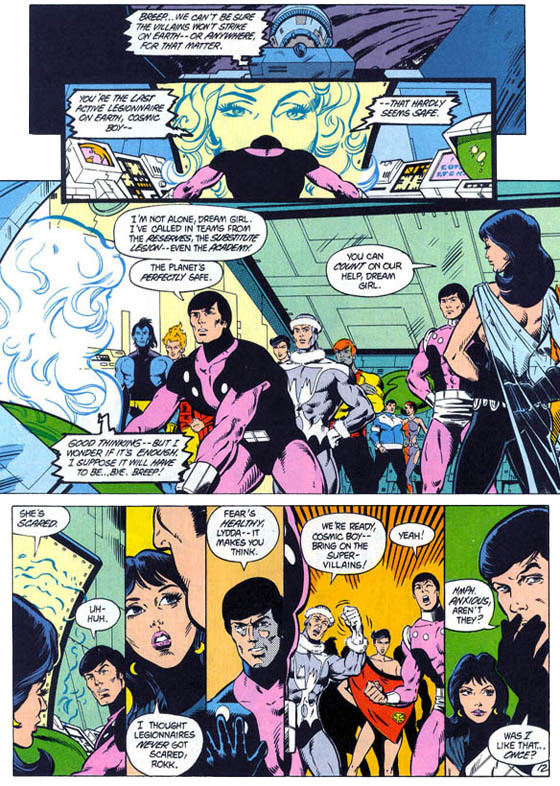 The Legionnaires decide not to take any of the cadets onboard at that time, leaving a very dejected crop of Academy kids. 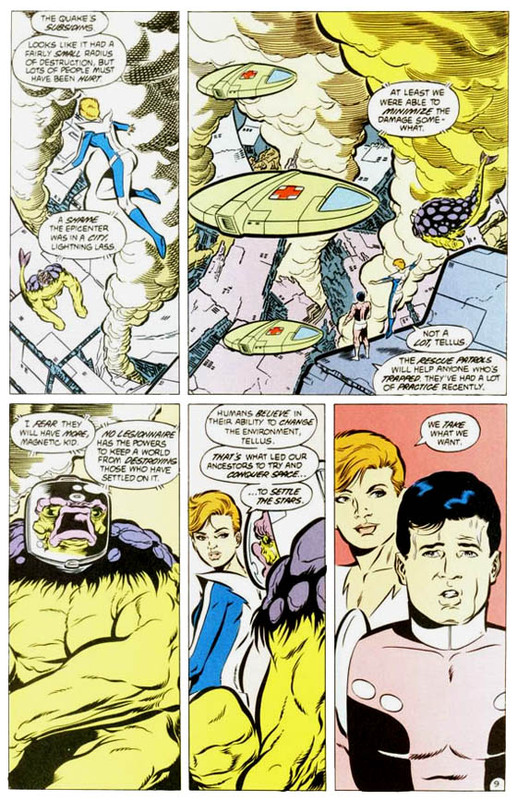 Soon afterwards, Cosmic Boy and the Legion of Substitute Heroes are trapped in space, lost and alone, with nearly no chance of survival. 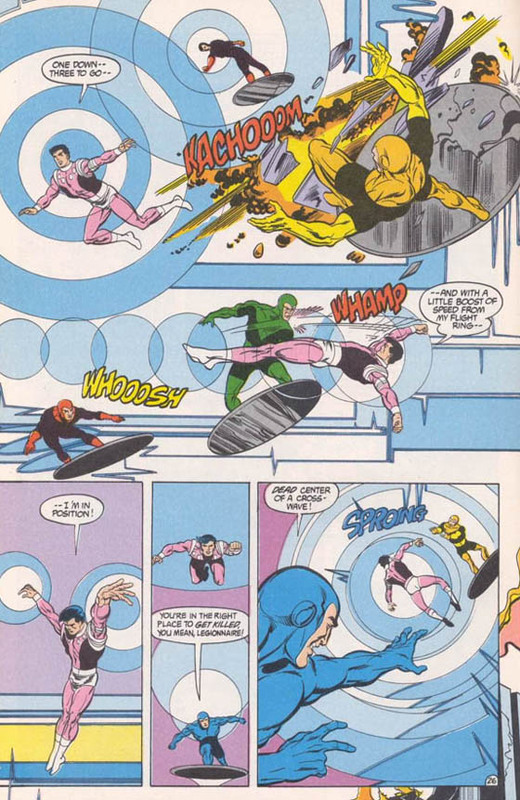 Through quick thinking, Cosmic Boy reaches out with his powers, sending waves of magnetic force out into space, a beacon that allows them all to be saved from certain death by none other than Magnetic Lad! 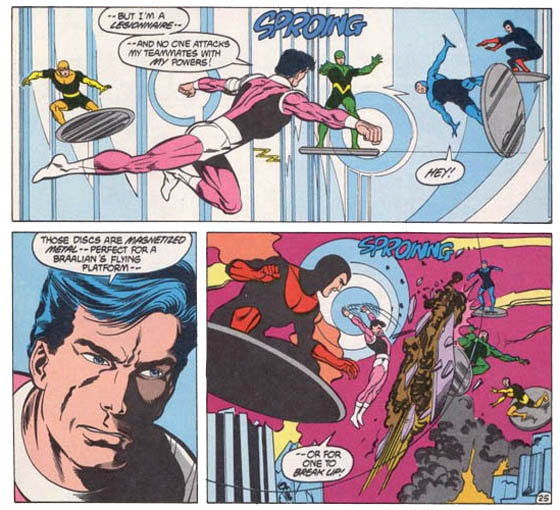 Not long after, the Legion of Super-Villains attacked en masse, drawing the entire Legion away from Earth, leaving the planet almost unguarded… save for Cosmic Boy, the Substitute Legion, and the cadets from the Academy. …and a master of magnetism. The “people” to whom Bouncing Boy refers turn out to be the Legionnaires themselves, ready to hold their open tryouts. 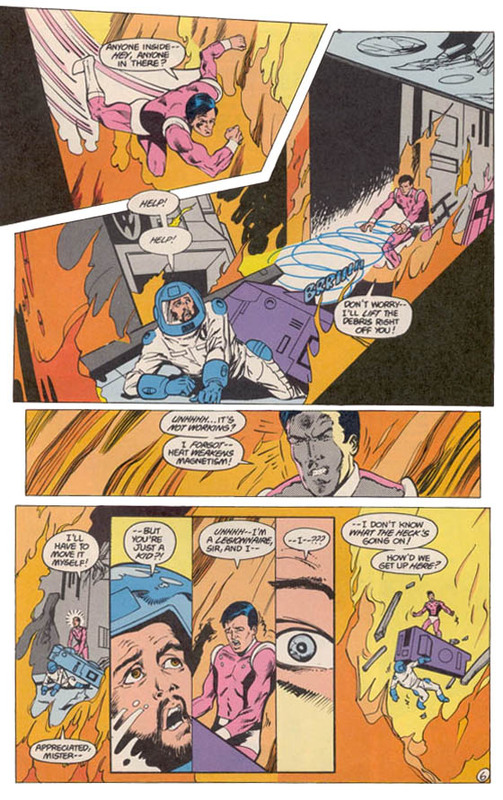 Their test turn out to be trials by fire, and the applicants who make it through the first level of interviews go on live missions with the Legionnaires. 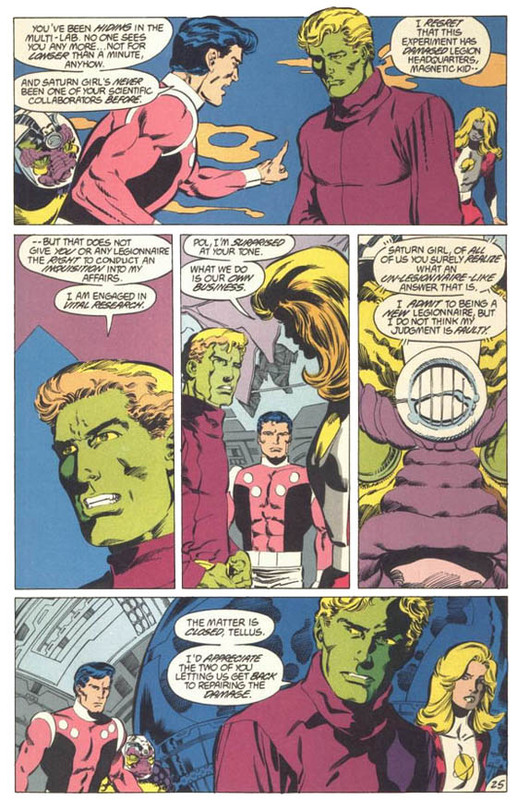 Magnetic Kid, and fellow LSH hopeful Tellus end up dealing with the ultimate in nerve-wracking: being forced to measure up not only the the power of Mon-El, but the intellect of Brainiac 5. Almost immediately upon joining, though, Pol found himself being compared to his big bro (though, honestly, wearing Cos’ own old uniform really didn’t help matters any…) And to make matters even wrose, now that they were back to full strength, the Legion actually found themselves in a quandary that superheroes seldom face: too many heroes, too little crime! As you may remember from our quick look at Laurel not so long ago, she was mysteriously shot in the back with a Kryptonite bullet, but even the Science Police couldn’t figure out the crime. 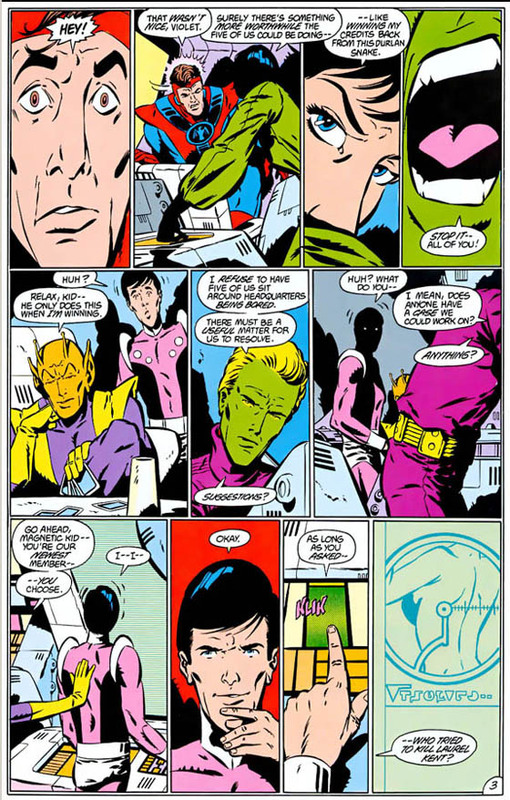 Magnetic Kid, accompanied by the Legion’s biggest brain, greatest detective, most sardonic tiny woman, and Colossal Boy, manages to unravel the case, discovering that the mind behind the attempted murder is actually Professor Ivo, an immortal loony-tune who periodically tries to murder the descendents of the Justice League of America. 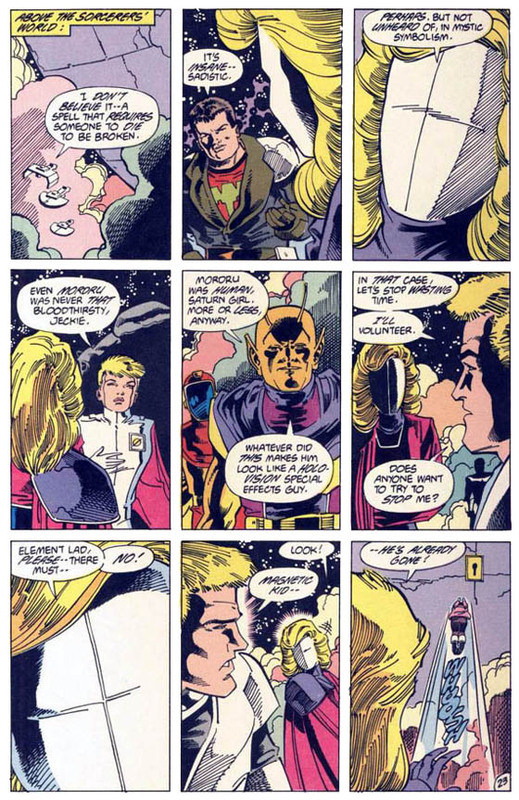 Magnetic Kid’s tenure in the Legion was marked by a desire, maybe even a passion to improve himself, but more importantly, to PROVE himself. Prove himself worthy of the Legion, prove himself to his family, to Braal, and to show that Rokk isn’t the only real hero in the Krinn family legacy… To that end, he could be found practicing, honing his powers, strengthening his control over his magnetic abilities. Wow. That pink leotard is… uh… very manly. Or something. 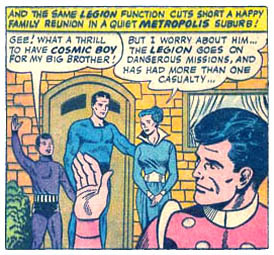 Magnetic Kid grew into his role in the Legion, but being often found that his greatest weakness came with his own pride. When a gang of Braalians went on a crime spree in Metropolis, the Kid took the attacks personally. 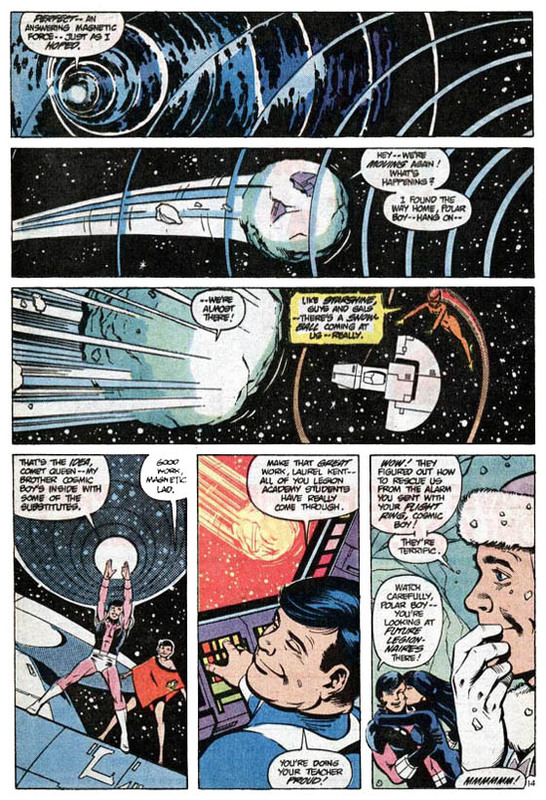 Leaping into action with the LSH, Pol took the forefront in the battle, angry that his people would stoop so low. Soon enough, though, the new kids of the Legion aren’t that new anymore, but they’re still horrified to find out that things in the big leagues aren’t always what they seem. When Tellus overhears a portion of a conversation, he is stunned to find that there’s a conspiracy within the Legion itself. He brings his suspicions to the one Legionnaire he knows he can trust, the only other Legionnaire whom he knows can’t be part of any conspiracy… his old pal Magnetic Kid. The Legion conspiracy turns out to be a revenge pact against the Time Trapper for the death of Tom Welling from the Pocket Universe, and it takes several key Legionnaires out of the equation at a time when the team needs heroes to step up. Thus, when a mission on Braal pops up, Magnetic Kid is the obvious choice for field leader, but his team includes Lightning Lass, who seems to have more than just business on her mind. 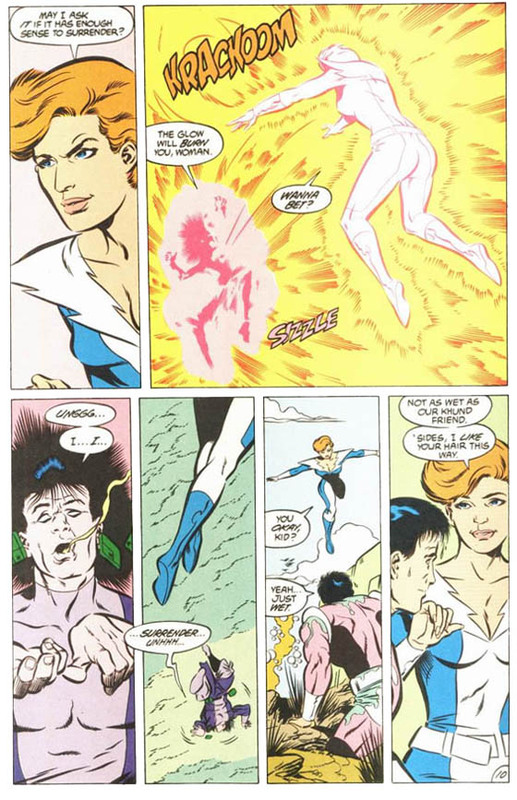 A series of strange, seemingly unrelated elemental attacks have been taking place across the planet, and Magnetic Kid is completely consumed by making sure that his first team leadership role goes well, and is so focused on trying to figure out what’s going on with the attacks, that he completely misses the advances of Cougar Girl Lightning Lass. 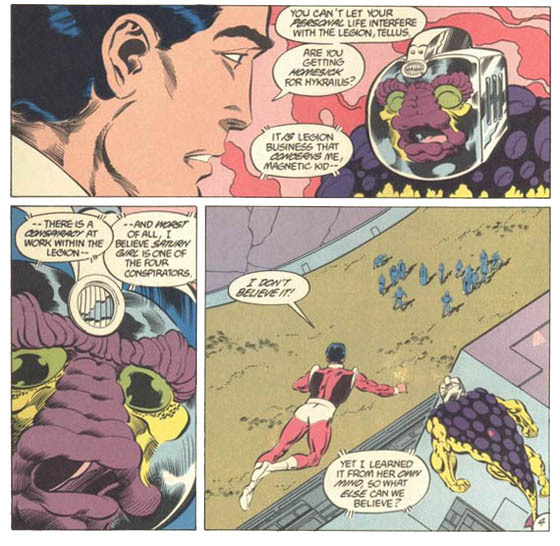 His brainstorm, however depressing for Ayla’s libido, allows the Legionnaires to finally take the monster into custody, and bringing his first run as team leader to a successful close. Afterwards, though, there’s still the spectre of his teammate’s obvious play for his affection. 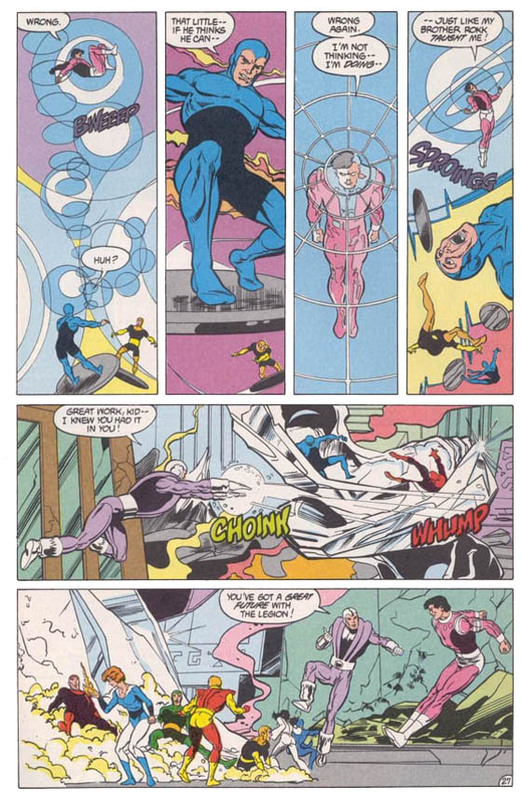 For all his successful heroism, Magnetic Kid is still not entirely sure how to deal with a Crisis on Infinite Hormones, and kind of… runs away. 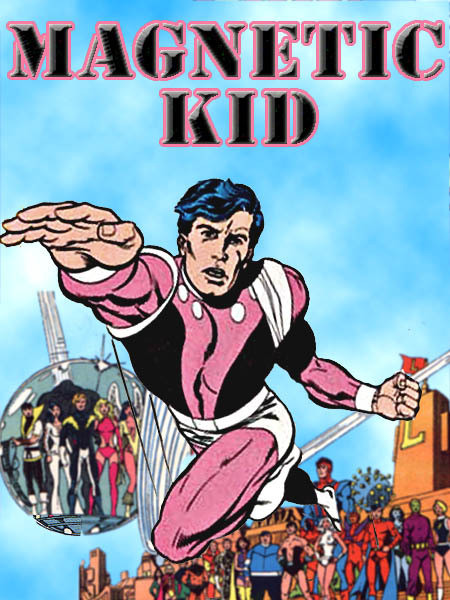 Still, for all his success, Magnetic Kid still finds himself (at least in his mind) in the shadow of Cosmic Boy, and tries desperately to differentiate himself from his big brother. 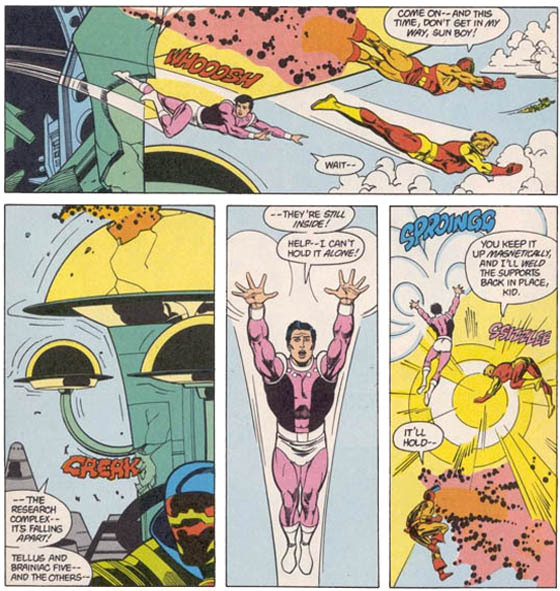 When the mystic forces of the universe, long held in check by the Sorceror’s World of Zerox, are released upon the 30th century, the technological marvels that run the Legion’s world are thrown into disarray. Worst of all, a creature calling itelf the Archimage has spear-headed the entire affair, including his failsafe: a spell which can only be broken by the spilling of blood. 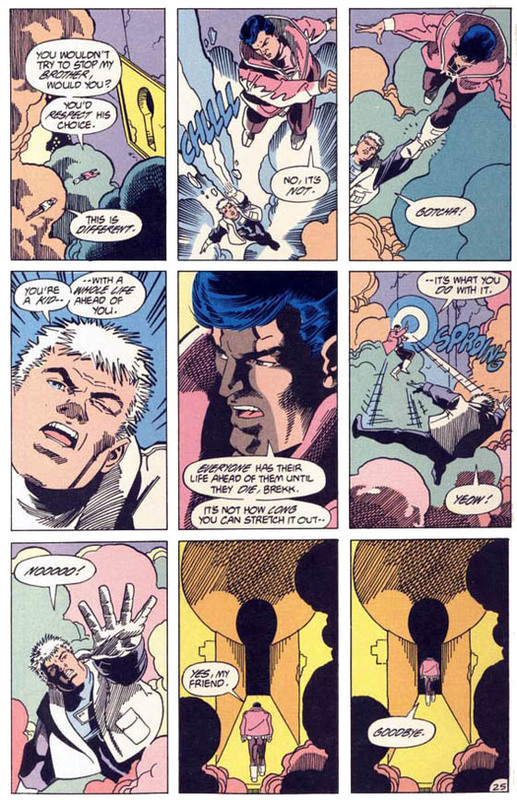 Magnetic Kid steps into the lock, finally finding the wayout of his brother’s shadow, achieving something that Cosmic Boy never had to: a heroic death. The irony of it all is, in the Legion, there’s a very rich and tragic tradition of that sort of thing… Magnetic Kid makes one final request to his teammates: make his sacrifice count. Or you can just click “Hero History” in the “What We Are Writing About” section on the main page… Collect ‘em all! 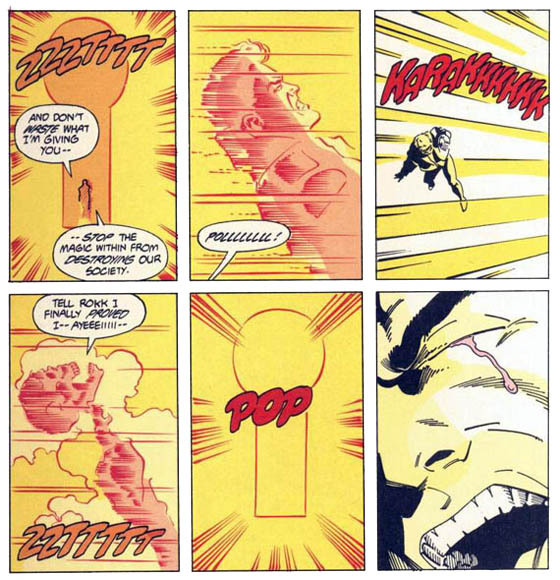 Next time around, another legacy hero, as we examine another of the Volume Three Legion’s finest… Don’t blink, or you might miss the life and times of Jacques Foccart… Invisible Kid II! 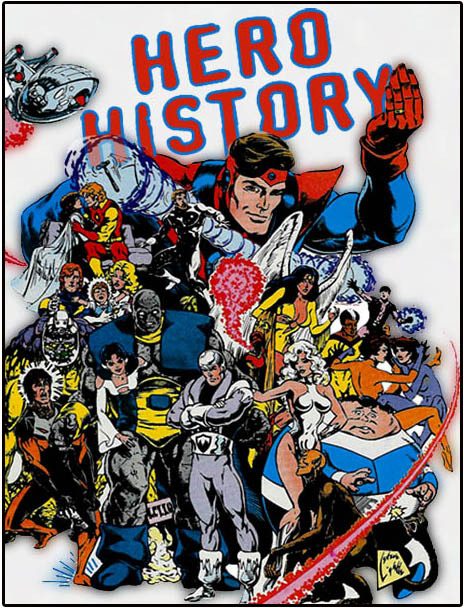 This entry was posted on Sunday, June 22nd, 2008 at 11:59 pm and is filed under DC, Hero History, Legion of Super Heroes, Magnetic Kid, Retro Review, review. You can follow any responses to this entry through the RSS 2.0 feed. You can leave a response, or trackback from your own site. 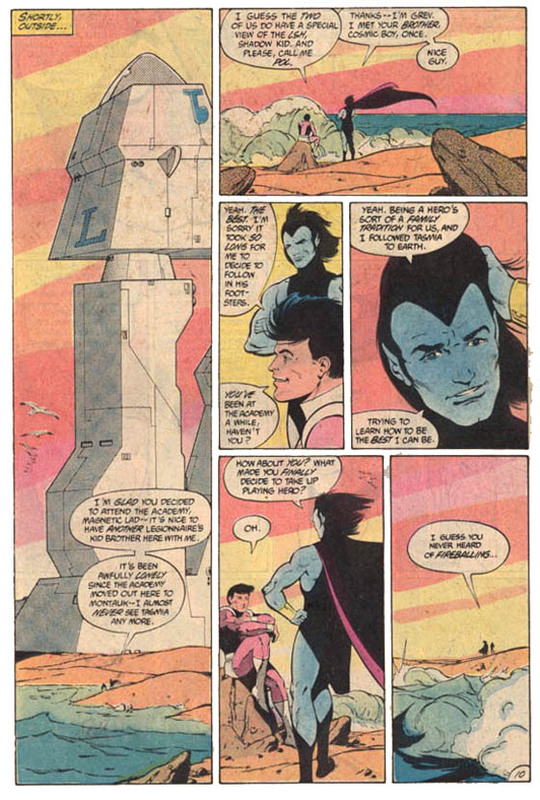 I always enjoyed the flirting between Ayla and Pol at the end. 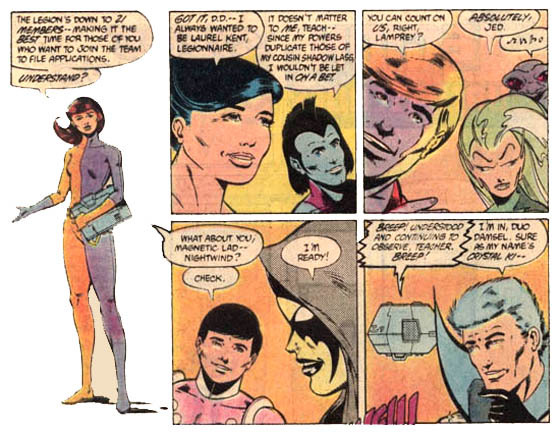 One of the better Legion romances that never happened! 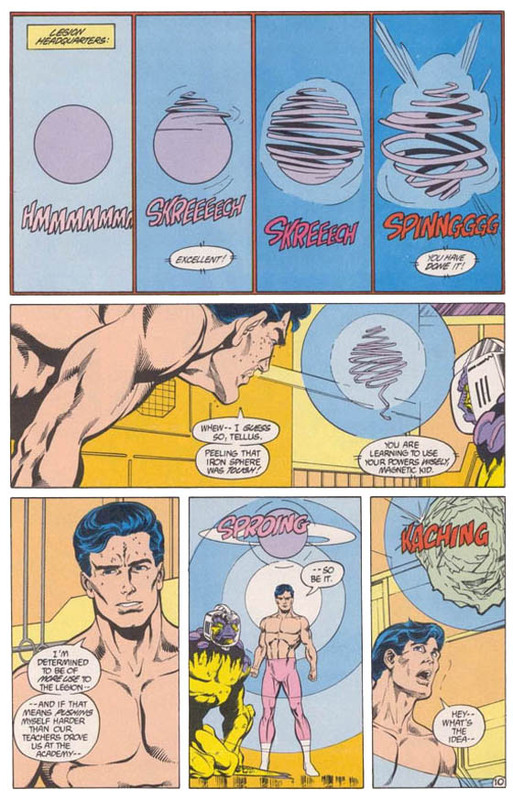 been somethime since the last one now with the whole legion of three worlds thing this helps on getting to know about some of the team .hey when superboy profile coming i heard he died and the time trapper played a part . 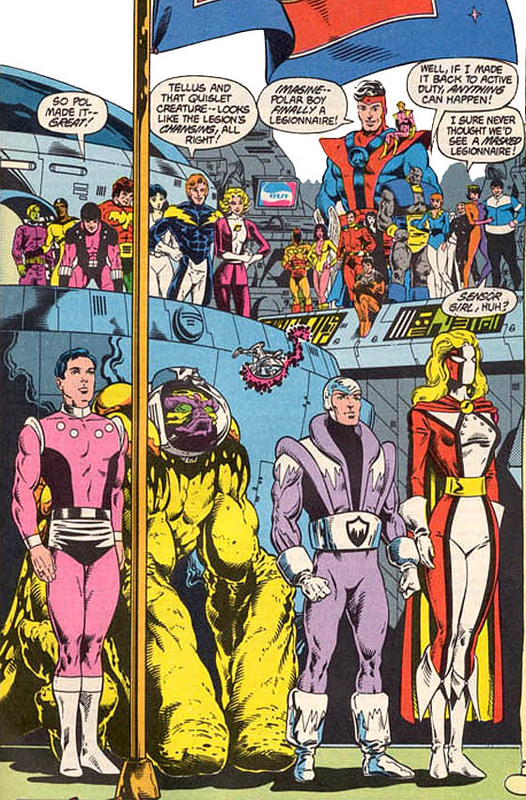 I found it interesting in the return of the original Legion that out of that final group to join before the Crisis, only Polar Boy and Sensor Girl are depicted as members. 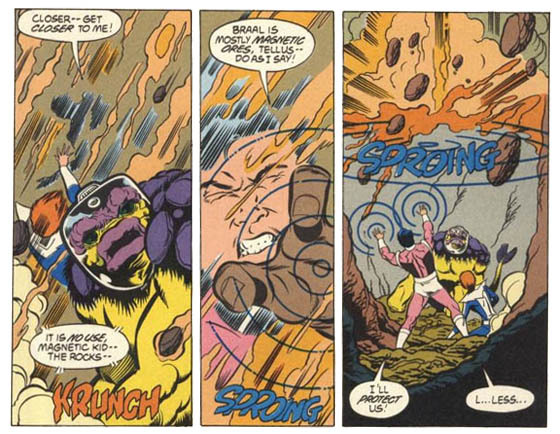 Magnetic Kid, Tellus and Quislet were never members of the Legion Superman remembers. Magnetic Kid, Tellus and Quislet were never members of the Legion Superman remembers. Weeellllll, I don’t know about that. Post this banner on your site! Major Spoilers is Copyright 2006 Stephen Schleicher. All images used on this site are owned by the original copyright holder and are used here for review and entertainment purposes.